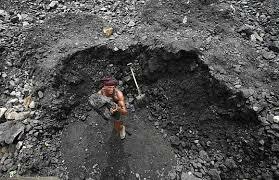 A special court on Tuesday directed Central Bureau of Investigation to supply deficient copies of documents filed by it to the accused, including Congress leader and industrialist Naveen Jindal, along with the charge sheet filed in the Amarkonda Murgadangal coal block allocation scam case. The courts's direction came after some of the accused, including Jindal informed it that they have carried out a partial scrutiny of documents supplied to them by the CBI and some of the documents were either missing or were not legible. "It has been stated that a partial scrutiny of documents have been carried out. Some of the accused say that some documents are deficient. “The investigating officer is directed to supply the said deficient copies to the accused. "The counsel appearing for the accused seeks some time to carry out further scrutiny of documents. Accordingly put up for scrutiny of documents on July 13," Special CBI Judge Bharat Parashar said. Senior advocate Ramesh Gupta, appearing for Jindal and some other accused told the court that some of the documents in the CD provided to them by the CBI were not legible and there were variations in hard copy as well as the CD provided to them. "We are seeing all these variations and we are daily inspecting the files. Their scrutiny is going on and we need some time to complete it," Gupta said. Senior Public Prosecutor V K Sharma told the court that except former Jharkhand Chief Minister Madhu Koda, also an accused in the case, all the lawyers representing other charge-sheeted accused have told the IO that the documents supplied to them were complete. Sharma, however, said that some defence counsel have sent emails to the CBI seeking some deficient copies from the IO. The IO told the court that he had provided same sets of documents running into 10,398 pages to the accused in CD form. During the hearing, the defence counsel told the court that they would apply for a certified copy of documents placed in court's record by CBI and will also inspect the court file. The case pertains to alleged irregularities in allocation of Amarkonda Murgadangal coal block in Jharkhand to two Jindal group companies, Jindal Steel and Power Ltd and Gagan Sponge Iron Pvt Ltd.
Rajeev Jain, Director of Jindal Realty Pvt Ltd, Girish Kumar Suneja, Director of Gagan Sponge Iron Pvt Ltd, are among the other accused in the case. On June 5, the court had allowed Jindal's plea to travel abroad from June 14 to June 29 for business purposes. Besides Jindal, the court had also granted bail to Koda, ex-Minister of State for Coal Dasari Narayan Rao, former Coal Secretary H C Gupta, Director of GSIPL Radha Krishna Saraf, and five others and had directed them not to tamper with the evidence or influence witnesses. Others who were granted bail are Suresh Singhal, Director of New Delhi Exim Pvt Ltd, Girish Kumar Suneja, Director of GSIPL, K Ramakrishna Prasad, Managing Director of Sowbhagya Media Ltd and chartered accountant Gyan Swaroop Garg. Besides these ten accused, five firms -- Jindal Steel and Power Ltd, Jindal Realty Pvt Ltd, Gagan Infraenergy Ltd (formerly known as GSIPL), Sowbhagya Media Ltd and New Delhi Exim Pvt Ltd -- are also accused in the case. In its charge sheet, CBI has alleged that Jindal had promised Congress support to then ‘unstable’ Koda government in Jharkhand in return for a recommendation for allocation of Amarkonda Murgadangal coal block to his group firms. While summoning the accused, the court had observed that Jindal had prima facie ‘manipulated’ the entire government machinery to procure undue coal block allotment in Jharkhand. Section 409 of IPC entails life imprisonment as maximum punishment.